Insane multiplayer title Knight Squad officially launches on PC and Xbox One next month - Use a Potion! The game looks insane and reminds me a ton of Gauntlet – that can only be a good thing. There’s 8 player multiplayer and 9 game modes – including free-for-all and team based play. 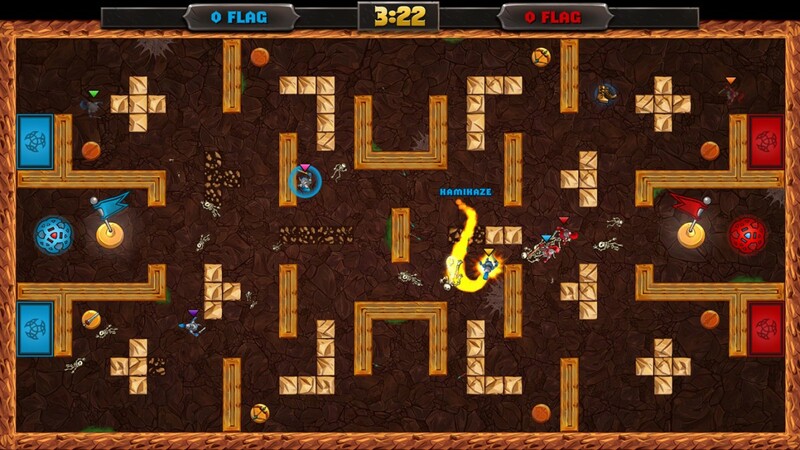 “Reminiscent of classic party games like Bomberman, Knight Squad drops players into one of several top-down arenas where they face off to see who will be the last knight standing, capture all of the flags, or score the most goals in an adapted form of full-contact (and full-slaughter) soccer. I really can’t wait to give Knight Squad a try – it’s not long for its November 16th release date. For more details check out the the official website through this link.